Francesco Schettino, the captain of Italian cruise ship Costa Concordia, which ran aground killing more than 30 people in January, has said he is sorry for the disaster. In an interview on Italian TV, Francesco Schettino said he thought constantly about the victims. But he insisted others should also share the blame, saying the ship had been under the command of another officer at the time. 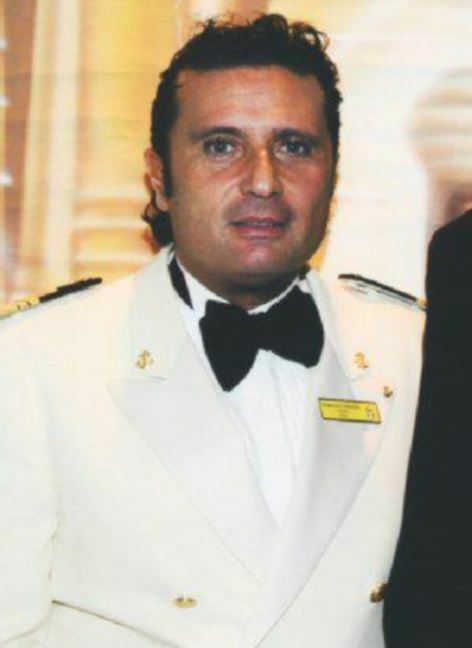 Francesco Schettino denies charges including manslaughter and causing a shipwreck. The ship struck rocks and capsized near the island of Giglio, off the coast of Tuscany. An Italian judge recently lifted Francesco Schettino’s house arrest, but said he must not leave his hometown, near Naples, while the investigation continues. “When there’s an accident, it is not just the ship that is identified or the company, the captain is identified and so it’s normal that I should apologize as a representative of this system,” he told Italy’s Canale 5 television. Francesco Schettino said he blamed himself for being “distracted” but said he had not been on the bridge when the ship ran aground. “At that moment, I went up to the deck and ordered the ship to be put on manual navigation and I didn’t have command, that’s to say being in charge of sailing the ship, that was the officer,” he said. Following the accident there was speculation that the captain had sailed too close to the island because he was trying to show off his seamanship skills to a young woman on the ship’s bridge. Francesco Schettino denied this, and also denied that the woman had been his lover. When asked about the youngest passenger who died – a five-year-old girl – he could not answer and broke down. In a letter published recently in Italy’s La Corriere della Sera newspaper, Francesco Schettino argued that he had saved many lives by steering the stricken vessel into shallow water. In a phone call recorded during the rescue operation, a local port authority chief Gregorio de Falco can be heard chastising the captain and telling him to get back on board the ship to help stranded passengers. Francesco Schettino was arrested shortly afterwards.